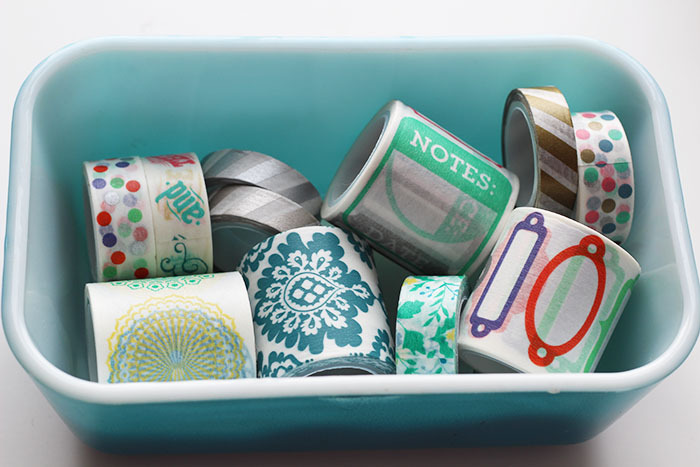 With so much washi tape, I'm sometimes overwhelmed by my stash... so I like to pull out a handful of rolls to narrow down my selection. Sometimes I pull it out for a specific project, sometimes I just grab a few faves and leave on my desk. If there's out and easy to use, I use them! Right now I have this great peacock blue Pyrex dish on my desk with some washi tapes inside... I love the colour blue of this dish, and I love the way these tapes look inside! It's like a serving of happiness! Do you keep any supplies out on your desk so they are easy to reach? 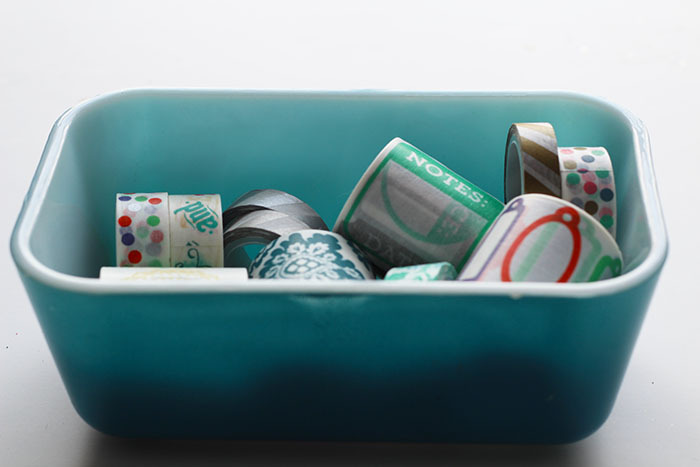 Check out my selection of washi tape by the foot, available in my Etsy store.